Decleor Aroma Confort Hydrating Bodycare Range delivers gentle care that leaves the skin silky to pamper your body and provide moisturising active ingredients to the areas that need protection. 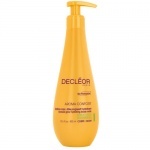 Decleor Aroma Confort Hydrating Bodycare Range contains oils of Coprah and Meadowfoam in the Decleor Moisturising Body Milk that offers a delicious sensation of comfort.The light and silky formula gently moisturises, softens and leaves the skin supple. Meadowfoam Oil, Shea Butter and Cypress Essential Oil in the Decleor Nourishing Hand Cream that will envelop your hands in a light, velvety and protective veil. 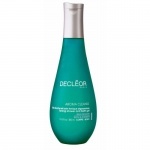 Decleor Aromessence Ongles Nail Oil is a pure concentrate of essential oils for optimum nail care. Decleor Systeme Corps Nourishing Body Milk is the perfect body care for dry skin, with its creamy and velvety texture. Decleor Systeme Corps Moisturisng and Firming Body Milk is a must-have body moisturiser that envelops your skin in a comforting and protective layer of moisture. Decleor Beaute des Pieds Feet Care Cream is a phyto-aromatic, ultra-nourishing and repairing cream for the feet. This gel with a refreshing effect has been specially formulated to naturally slow down hair regrowth and ensure clear, blemish-free skin for longer. Replenish, protect and bring back a youthful elegance with this ultra-effective, non-greasy and soothing cream.